Today’s letter is the letter K in the Blogging A to Z Challenge, and I thought I’d write about kids. Not my own, because I have singular — KID. But now that I think about it, maybe I do mean my own because what I mean are the kids I teach. There is not a teacher out there who doesn’t like kids — you kind of have to like them if you want to be a teacher. All teachers tend to prefer kids of a particular age group. I always thought high school kids would be my niche, but after spending a few years teaching junior high, I learned that they are by far my very favorite age group! They are so much fun — they experience life so vividly and passionately, they take all the ups and downs to heart. Some people find that exhausting and even annoying, but I find it exciting and fun. One of the best things about my position as instructional technology resource teacher has been the opportunity to work with kids of all ages, kindergarten through 8th grade. I have discovered that kindergarteners are scary — I actually break out in a sweat when I am with them. One of the kindergarten teachers I know described it as “herding cats” — and that is truly the most apt description! Those itty bitty kids are adorable but their little minds and bodies are constantly going in all different directions! First grade is marginally less scary than kindergarten. Second grade and third grade are okay — I just need to be really careful with my tone of voice because they are prone to crying. I actually kind of like 4th grade. Those kids just have a cool vibe about them. Grades 5 and 6 are tough because they are really just coming off the edge of being kids and onto the edge of being full-fledged teenagers. They can be fun but sometimes they’re a bit silly for me. I feel so fortunate to have the chance to work with so many more kids in this job. It’s a lot of fun to be walking my dogs in the neighborhood or at Jewel doing shopping and have little kids say, “Hi, Mrs. Bogacz!” But on the flip side is the fact that I encounter so many kids, I don’t get to know them personally. So while those kids call out to me when they see me, I can’t respond to them with their names because I just don’t know them all. I feel like they are ALL my kids but none of them really belong to me like they do when they are in MY classroom and I am THEIR teacher every day. Missing this is one of the biggest reasons I asked to find a way to get me back into a classroom teaching language arts again. Teachers look at their students as their kids. Listen to a teacher talk about his or her job and you will often hear them refer to their students as “my kids”. Teacher treat their students like they would their own kids; those kids are their number one priority. If there was a fire, that teacher would fight to go back into a burning building if one of her kids was still in there. If there was a tornado, that teacher would throw her body on top of as many of her students as possible to protect them. The teacher would leave herself vulnerable in order to make sure all her students were sheltered. If there is an armed intruder in the building, that teacher will hide her students and put herself between the gunman and those kids without even thinking. Because those aren’t just students — they are the teacher’s kids. Kids are the reason I’m in education. And I love every day I get to spend with them. 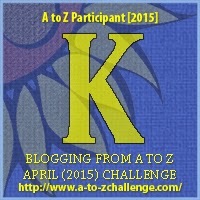 This entry was posted in Blogging A to Z, Education and tagged education, kids, teaching. Bookmark the permalink.